A project that aims to enable talented male students from socially and economically backward classes to avail education from IIT or JEE. The intellect of the Indian youth is being looked up with awe by the rest of the world. However, there are still talented students in India who are deprived off the right platform for the showcase of their excellence, owing to economic reasons or lack of guidance. 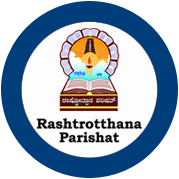 With an ambition to tackle this issue and enable students from modest backgrounds to avail free education, and enable them for competitive exams that can land them in prestigious institutions of the country, Rastrotthana Parishat has designed two projects. ‘Tapas’ is a project that shall empower male students from modest backgrounds, and ‘Sadhana’ shall serve the same purpose for female students. ‘Tapas’ was initiated in 2012. Students hailing from families whose annual income does not exceed 1.5 lakhs, and currently studying in class 10 are eligible applicants for this project. The entrance exam for the scheme shall take place on the 25th of December every year at 40 different centres across the state. 40 students are nominated as eligible recipients of the benefits of the project through various screening processes. The selected students are provided free accommodation, food, tuition fees, study materials and training for a span of two years. This is facilitated at the well established infrastructure consisting labs, library, hostels and college at the Rastrotthana Campus, Banashankari. This project is executed in coordination with the prestigious Base Institute. The institute provides supreme quality study materials and question series on Physics, Chemistry and Mathematics that shall enable the students to crack entrance exams to IIT and JEE. ‘Tapas’ has so far facilitated education for 4 batches of students consisting 140 members. The first batch of students shall accomplish their education coming year and set foot into the professional zone.